Thanksgiving Day is the time when the harvest is in that is the perfect time forfamilies to get together, say thanks to each other. Special thanksgiving feast is enjoyed by all family members in specially thrown thanks giving party. This day was originally celebrated in US and Canada. People celebrated this day with an aim to say thanks to God, friends and family members. This day is celebrated on second Monday of October in Canada and in US it is celebrated on fourth Thursday November. This day is celebrated in different styles in different areas. 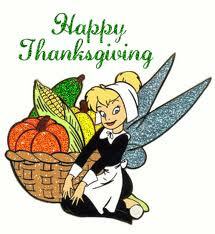 Everyone wants to have new and innovative ideas every year to celebrate this Thanksgiving Day. Thanksgiving party is arranged same like any other party but its theme and activities will change and basic arrangements will be same. If you are planning a Thanksgiving party this year, you will need to think over different points like invitation, venue decoration, activities and games, music, party favors, food etc. Another clue for you to make arrangements for thanksgiving party is to know your guests. You will have to make different arrangements for kids, family members, adults, colleagues, friends etc. Here we have a great collection of ideas to celebrate this upcoming event “thanksgiving day” in special way. Click on the links given below and get ideas you need.